Schmelzer: "Second place is our priority"
Düsseldorf - has been with Borussia Dortmund for eight years and during the winter break the 24-year-old Germany international extended his contract with the current champions through to 2017, ensuring he will remain a cornerstone of the team for years to come. On the back of Dortmund's victory in the Düsseldorf Wintercup, a pre-restart warm-up tournament in Düsseldorf, the left back discussed the return of Nuri Sahin, BVB's aims for the season and the motivation behind his decision to commit long-term tot he Yellow-Blacks. Question: Marcel Schmelzer, the second half of the season starts in just a few days time. How's the mood within the Dortmund camp? Schmelzer: It’s very good. We worked really hard at the training camp and now we're looking forward to getting back into action on Saturday. Question: Nuri Sahin is back in the Dortmund ranks again. Has that given the team an additional boost? Schmelzer: Of course we’re delighted that it’s worked out and we’ve been able to get Nuri here on loan. We’re all really pleased to have him back with us. Schmelzer: Roman’s right; you could put it that way. He wasn’t away for that long and we’ve been in touch with him the whole time. Question: BVB are twelve points adrift of Bayern in the Bundesliga. In the DFB Cup, you head to Munich next to play them and then you face tough opposition in the UEFA Champions League. What are your expectations for the second half of the season? Schmelzer: Our aim in the Bundesliga is to get back into second place and to stay there. In the cup, we want to reach the final again, and we've said that all along. Such is life that we’re up against Bayern already, but we would’ve had to play against them sooner or later anyway. We’ve got to give it our best in Munich if we’re to reach the final. And in the Champions League Shakhtar Donetsk may not have been our first-choice opponents, but we’ll do all we can in both the games to get past them. We've been in good form so far in the tournament and don’t want to spoil the good work against Donetsk. Schmelzer: But Bayern have a twelve point head start and we’ve seen how they performed in the first half of the season. And ahead of the restart they've already been reminded of the need to maintain their focus. They’ll do all they can to stay at the top. Like I said, second place is our priority, if we manage that we'll be satisfied. Question: How big a blow is the loss of Neven Subotic? Schmelzer: It’s not just him - we’ve also lost Felipe Santana. Of course it’s tough to compensate for that, but I think we’ll find a way of getting through the three or four games we'll be without them. Question: You extended your contract until 2017 during the winter break, a development that seemed to get a bit overlooked with all the Nuri Sahin business. What was your reasoning behind penning that new deal? 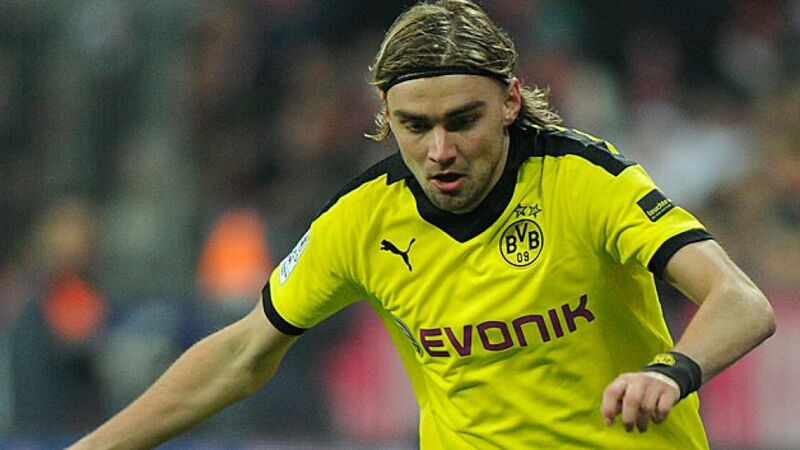 Schmelzer: I’m really pleased that it worked out so quickly. I had a contract until 2014 anyway and I've always said I’m happy in Dortmund. The club had indicated they were keen on extending and after that it was just a matter of time. Schmelzer: True. And it's also a signal to anybody who might be toying with the idea of leaving. Question: Is this the new policy for Dortmund - to tie down the key players on long-term contracts and bring in more new faces, over and above Nuri? Schmelzer: Yes. The best way of putting it is that it really does give all the players the message that we're looking to keep our core intact and that we are still very ambitious. Question: How much are you looking forward to the restart at Bremen? Schmelzer: Training camps are never really that much fun so we’re certainly looking forward to getting back into Bundesliga action again.